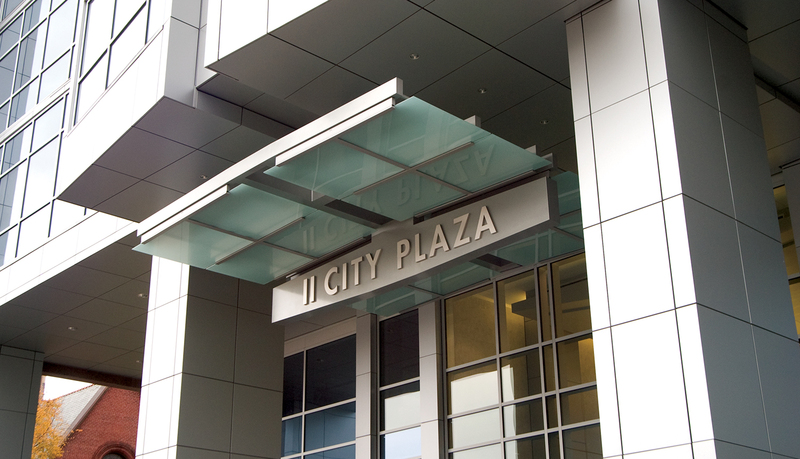 II City Plaza is the first new Class A commercial construction in Downtown Baton Rouge in almost 25 years. 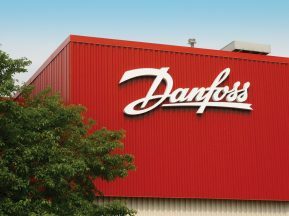 The 260,000 sq. 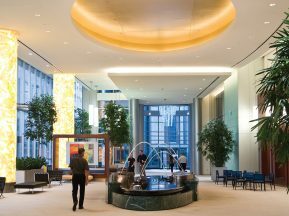 ft., 12-floor tower serves the needs of business tenants in Baton Rouge, ranging from law offices to real estate companies. 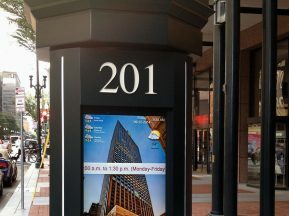 Wampold Companies, the tower’s developer, owns a nearby eight-story office tower and they needed to have a wayfinding plan and exterior signage solution designed to create a site identity link between the two office towers and the attached 8 level parking garage that serves both towers. 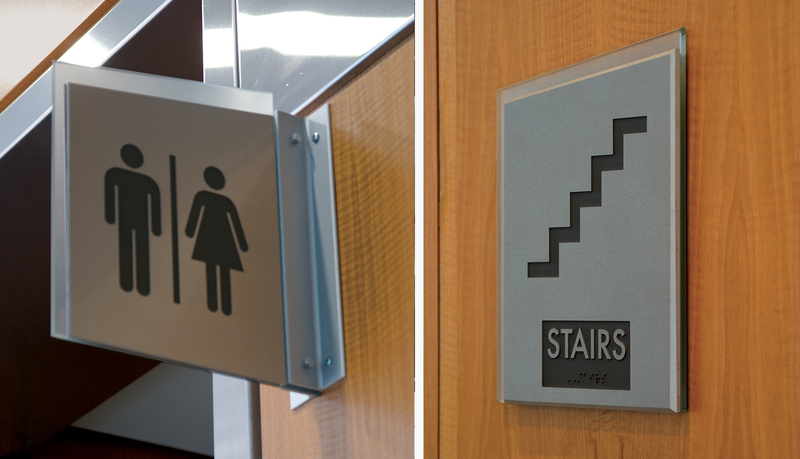 After surveying the site, ASI began designing a site identity logo and signage solution as well as a completely new wayfinding plan. 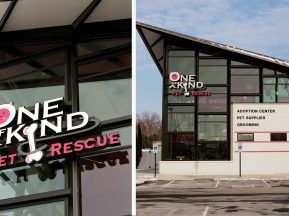 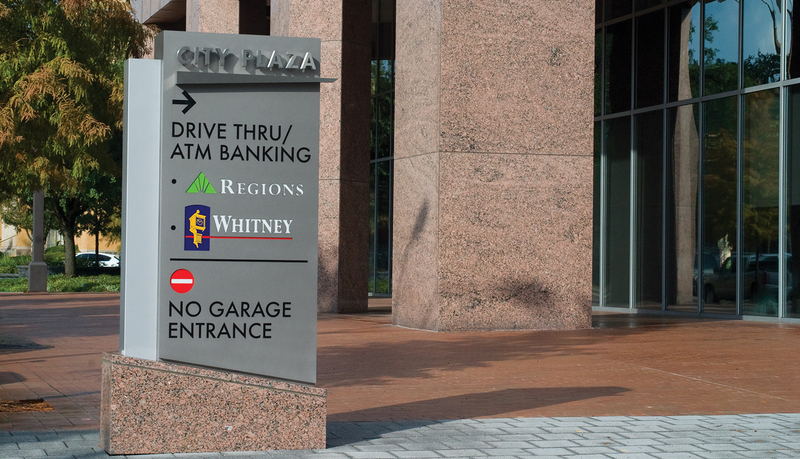 The custom signage design draws its inspiration from the interior and exterior architectural features designed by II City Plaza architect Washer Hill Lipscomb & Cabaniss (WHLC). 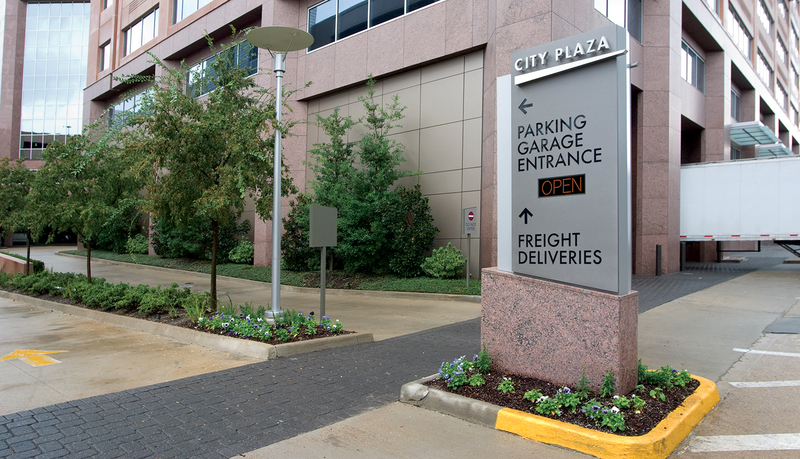 The finished solution features three sets of 4-foot high LED illuminated dimensional letters, which adorn the roof line of the tower and serve to identify the tower as “II City Plaza” and guide street traffic to the building. 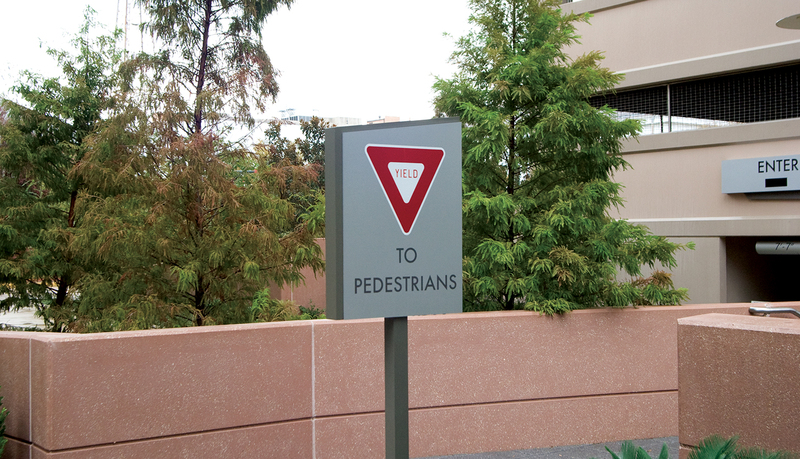 Drivers are directed throughout the towers by seven custom exterior monoliths and wall-mounted signs. 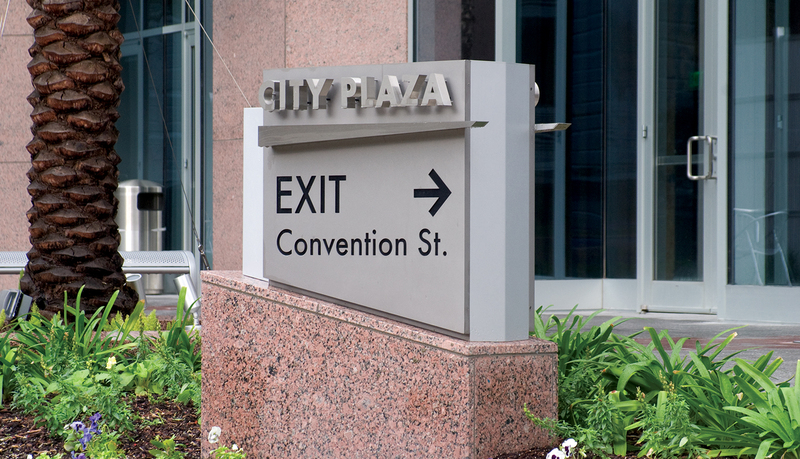 The exterior solution is built using a rose-colored marble-base and halo lit stainless steel letters applied to a steel sign face. 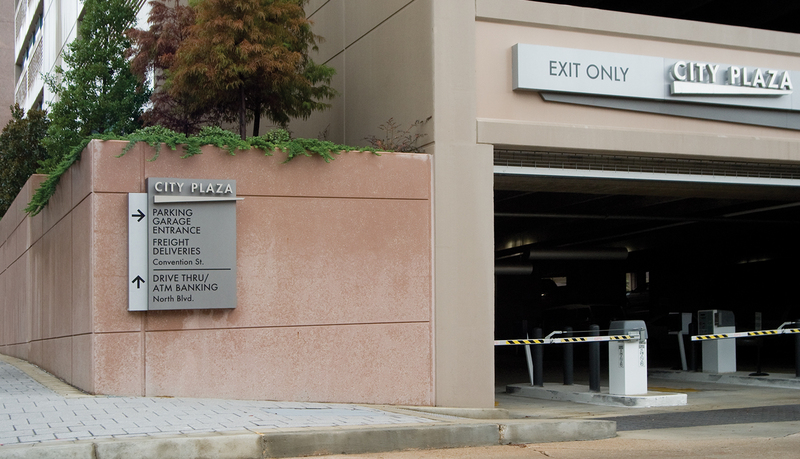 In addition, digital LED message boards are integrated into parking garage entry signs that indicate if the lot is full or open. 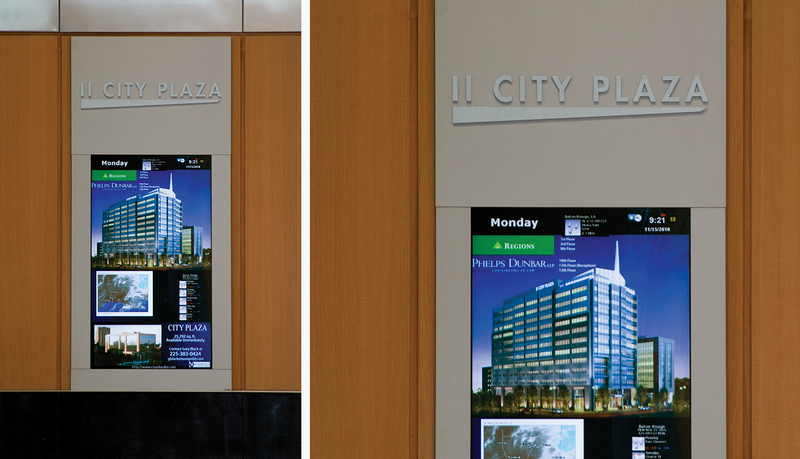 Upon entering the II City Plaza lobby area, visitors and staff are greeted by a dynamic digital information directory that provides information on site amenities and tenant location. 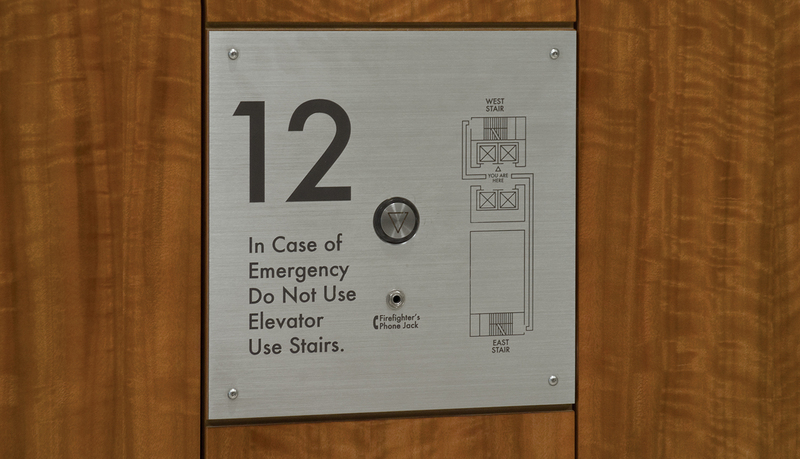 The interior signage system uses ASI’s SignEtch etched zinc signage solution. 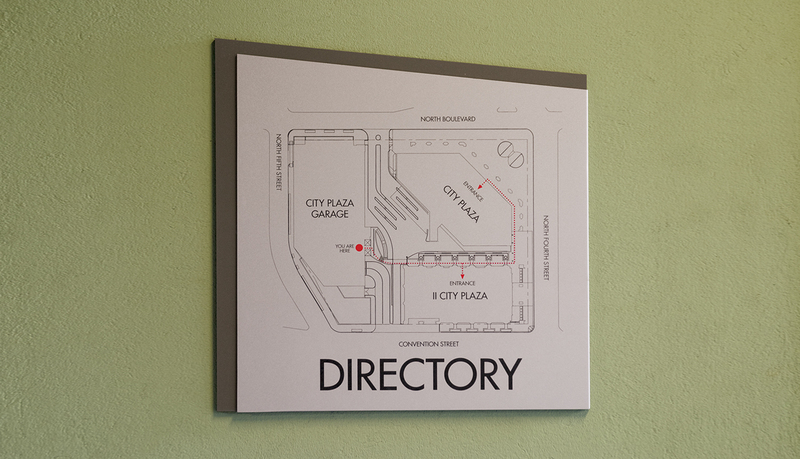 The complete wayfinding plan and signage solution effectively directs automobile and foot traffic and successfully complements the plaza’s architectural features.